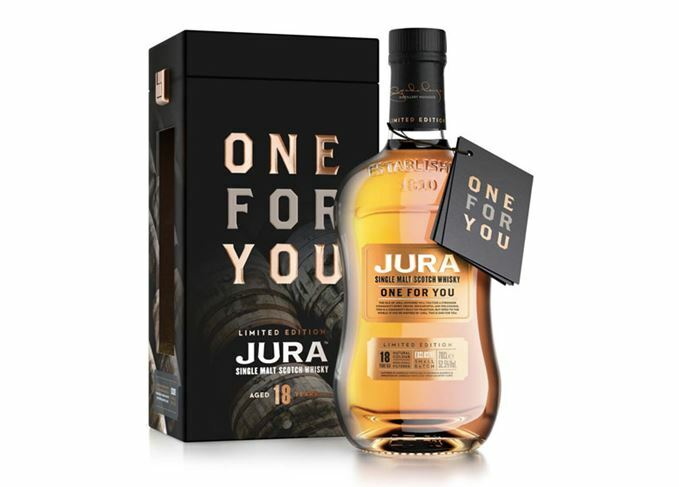 Jura has launched a cask strength, 18-year-old single malt to close its community-focused range of whisky releases: Jura One For You. Jura One For You, matured in ex-Bourbon barrels and virgin American oak quarter casks, is the final instalment of a three-part series celebrating Jura’s community, and the islanders – known as ‘Diurachs’ – living all over the world. The island distillery said the use of new oak added ‘extra character’ to the flavour of the whisky, which has been bottled non-chill-filtered and naturally coloured at a cask strength of 52.5% abv. The three-whisky collection began in 2016 with One For The Road, marking the retirement of Jura distillery manager Willie Cochrane, and continued last year with Jura One And All, celebrating Jura’s community and distillery workers. Jura One For You has been created to honour Diurachs around the world who share the spirit of the island community. ‘This special limited-edition expression has been created with our extended community in mind; with flavours of honey, vanilla, almond and white chocolate, it is the perfect whisky to toast those who embrace the Jura spirit worldwide,’ said Graham Logan, Jura distillery manager. Visitors to the Jura distillery Islay Festival open day on 31 May were able to buy the new expression, which was brought to the island by RIB the night before, ahead of its general release. Priced at £130 a bottle, Jura One For You is available now in select markets, including the UK, Germany, France and Asia. The island distillery is changing its entire range of whiskies as it moves in a new direction. Only two distilleries this week: Ardbeg Grooves Committee bottling and the new Jura range. The Highland distillery’s new range will include 12- and 50-year-old whiskies.